The new Antarès bridle collections are now available! You can find the Signature collection as a reflection of our previous models. 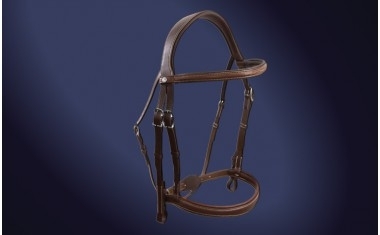 If you are looking for a classic bridle, the Origin collection is the one to look at. It has been redesigned and remodeled for a greater look and technicality. If you are looking for something more technical and ergonomic, the Precision collection is for you. The Precision collection lets you create a bridle according to the specific needs of your horse, by choosing a headstall, noseband and browband. Both the Origin and the Precision collections have been designed by the Antarès Creative Lab. Currently running low on stock - please contact Jamie Smith on 0418 169 525 before placing order.